Audi has unveiled the nomenclature of a new concept car that will be making its debut at the 2017 Shanghai Motor Show this week. Dubbed as the e-tron Sportback, it previews a futuristic all-electric fastback model that will be pivotal in the brand’s plans for electric mobility in the years to come. Ahead of its global launch, Audi has released teaser sketches. The entire body appears to be in similar shape to the A7. It has a taller stance and could be aiming to rival the BMW Gran Turismo car line. Audi’s chairman earlier commented that the new zero-emission concept will not be an outright SUV but higher than a standard sedan. The front fascia of the e-tron Sportback seems to have been derived from the R8 sportscar. It features a single-frame wide front grille which was not exposed allowing for an electric powertrain behind it. It sits in between trapezoidal LED headlamps with turn indicators and below which there are fancy LED lights. The body mouldings on the official sketches are flamboyant as well with a more SUV-esque presence. The prominent haunches above the wheels do hint at a four-wheel drive system as well. Moreover, the sweeping roofline and big spoiler at the rear elevate the overall aggressive nature of the e-tron Sportback concept. At the rear, the light strips run across the width of the car. Underneath the light bars, a cluster of LEDs illuminate in rotary style before the whole unit turns on. 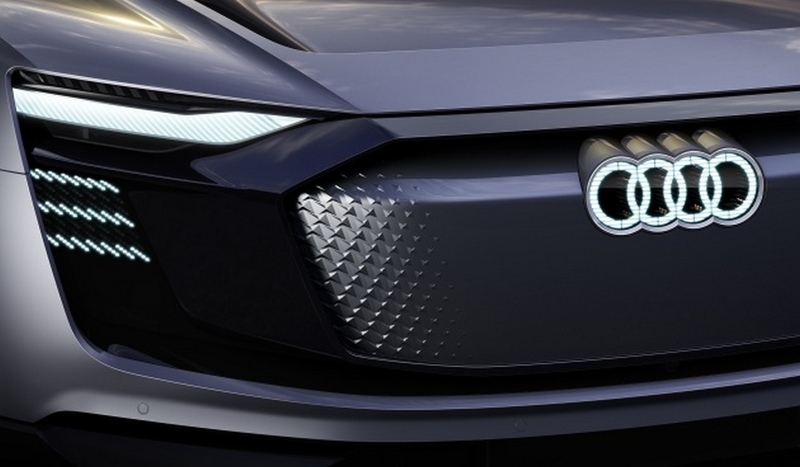 The four-ring badge lights up at front as well as rear. The rear e-tron badge does give an idea that the power source resides at the back. The production version of Audi e-tron Sportback will be up for sale in 2019 as the luxury manufacturer has planned three dedicated EVs by the end of this decade reportedly. 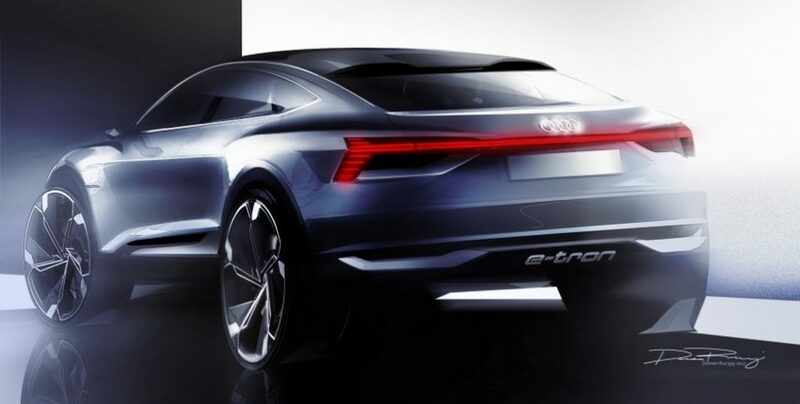 There will be a new electric SUV next year – previewed at Frankfurt in 2015 via e-tron Quattro concept – and a premium EV city vehicle is expected to follow the Sportback in 2020.